Up your agility on those slippery rocks and rocky terrain with the durably lightweight design of the Terra Fi Lite W~s from Teva. 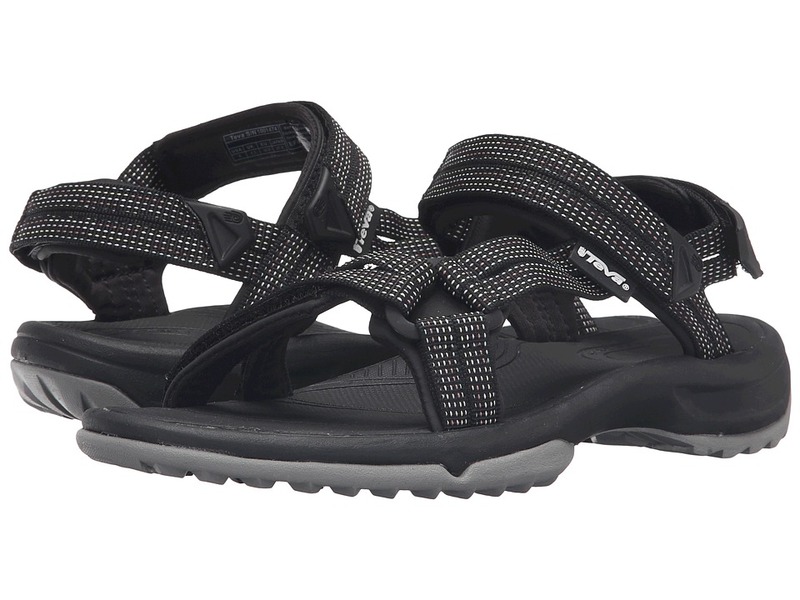 Webbing upper with a three-point strap adjustment that fine tunes the fit and provides optimum support. Open-toe construction prevents water from pooling inside the shoe. Hook-and-loop strap allows for easier on and off. Microban&amp#174 zinc based anti-microbial protection fights the growth of odor-causing bacteria and fungus. Nylon shank offers better stability and control. Non-marking Spider Rubber&amp#174 Original outsole provides superior grip on both wet and dry terrain. Imported. Measurements: Weight: 8 oz Product measurements were taken using size 7.5, width B - Medium. Please note that measurements may vary by size. Weight of footwear is based on a single item, not a pair.